Recently I became part of Lecien Corporations new Flower Sugar World Ambassador program. 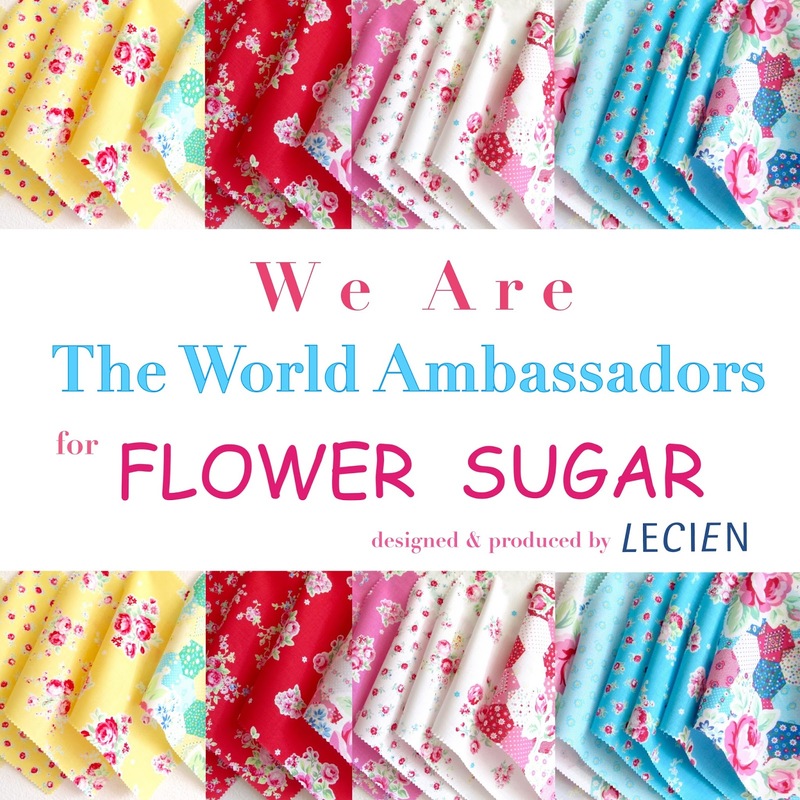 I have joined a group of designers, around the globe, who get to sew with the new Flower Sugar fabric before it's released to the public. The first collection is Flower Sugar Fall 2015 which will be unveiled next week at the International Quilt Market in Houston, Texas and will be in stores in May 2016. 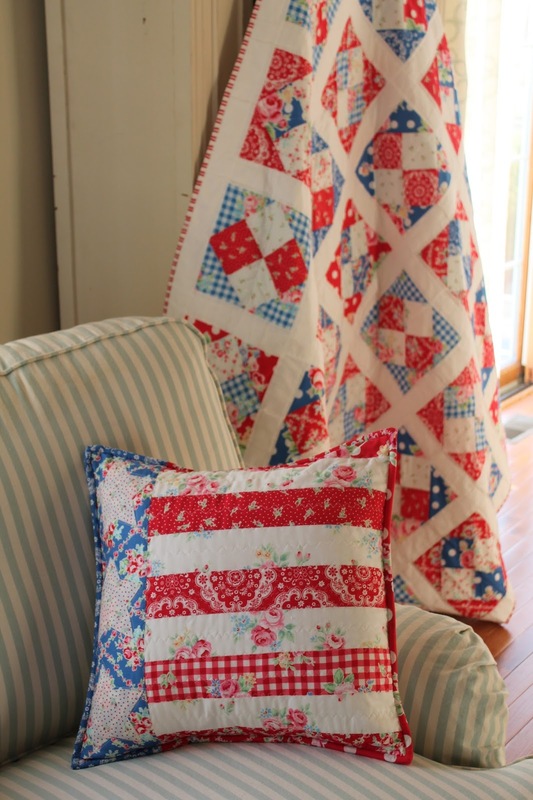 I have long wanted to make a patriot shabby chic quilt to go with my style and decor in my home. The red, white and blues from Flower Sugar fit that description perfectly. The pattern I used for the quilt is "Just Pruned" by Brenda Ratliff, owner of Pink Castle Fabrics. The pattern first debuted in Issue 7 of Quilt Now magazine. 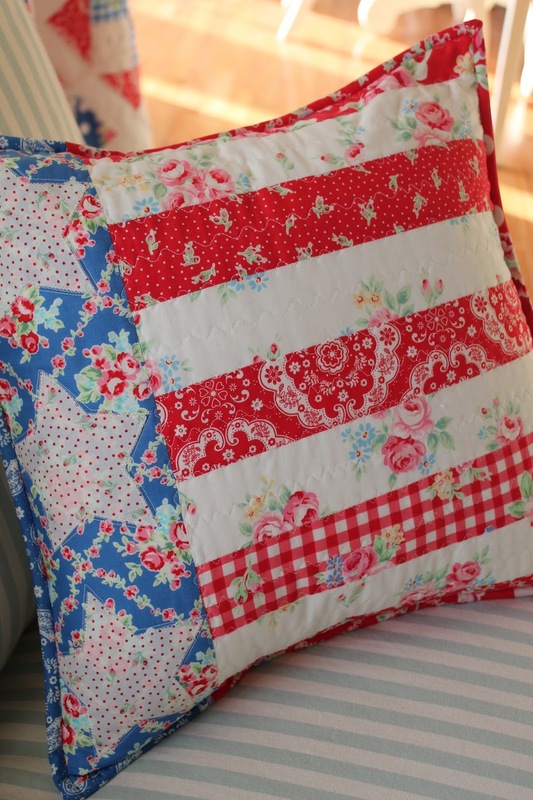 The pillow was made using the pattern, "Patriotic Pillow" from the Summer 2015 issue of Easy Quilts magazine. I enjoyed every minute of sewing with this gorgeous fabric and I have more projects to show from the remainder of the line. I have been hoarding collecting all the Flower Sugar fabrics from previous lines and I must say, they compliment each other wonderfully. I'm in love with the new Flower Sugar line and can't wait for it to become available. I'm even more in love of your quilt and pillow using that line. Patriotic and Red, White and blue are my favorites. How exciting for you to be a part of the group that gets to preview these beautiful fabrics. You have such a talent, I can see why you were chosen as an ambassador for the beautiful fabric. Congratulations. Congrats Renee that is so exciting. Love you quilt and pillow. The pattern is perfect. 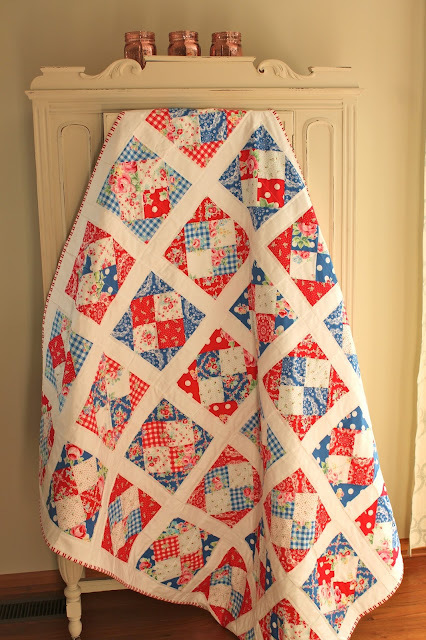 I have been wanting to make a red, white and blue quilt. Congratulations! Beautifully sewn quilt and pillow. Love them! What a gorgeous quilt and pillow, how lucky you are to get to work with those stunning fabrics! What a beautiful quilt & pillow! The fabrics make them look extra cozy! dear Renee, I love your work! Always inspiring. How does one get to represent Lecien? That would be a dream come true!